The sight of the entrance of an Emerald mine. Muzo, Colombia. 2010. 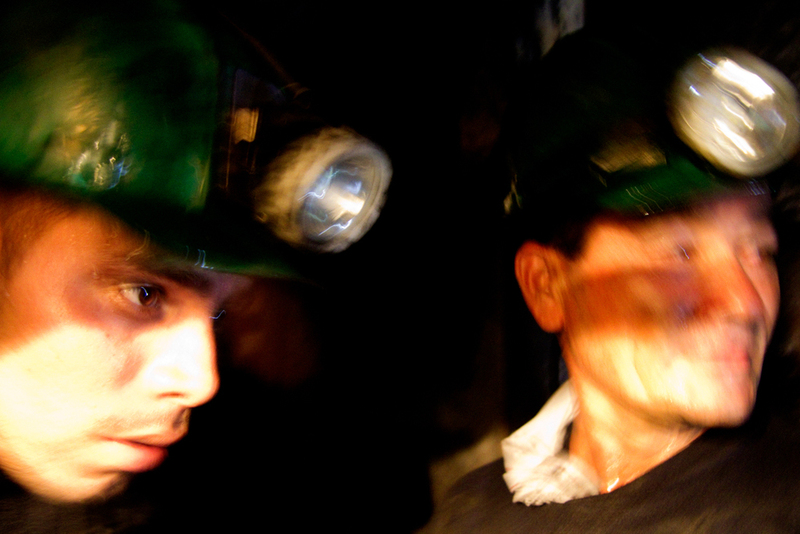 Workers in the mine have different shifts but may stay in the mines more than 6 hours. Muzo, Colombia. 2010. Nowadays mineworkers are hired with legal work contracts. Muzo, Colombia. 2010. 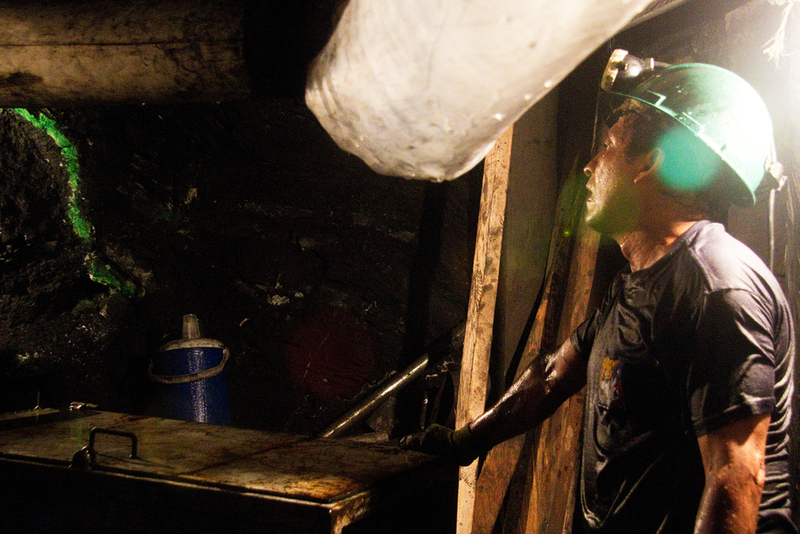 Some mines have more than 100 meters of depth; the heat the lack of air makes the work extremely difficult. Muzo, Colombia. 2010. 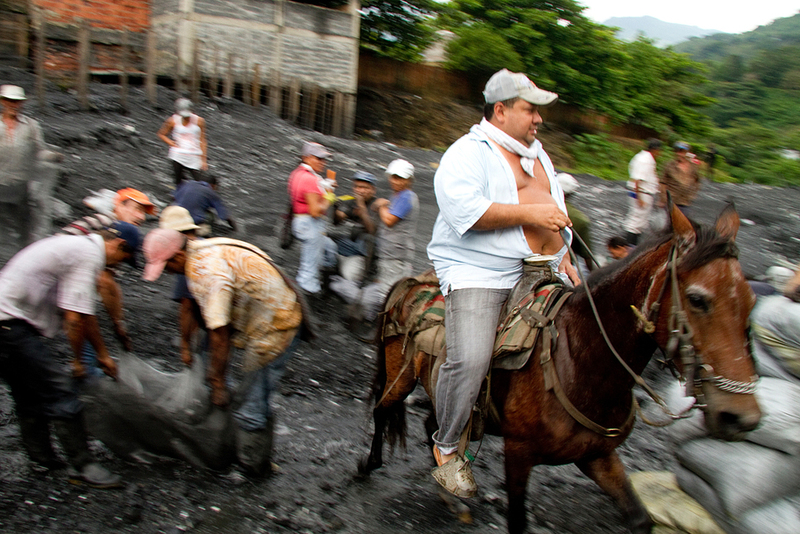 The "guaqueros" or treasure hunters, go to the vicinities of the mines, where rubble is thrown away. Sometimes they find emeralds in the dirt that is thrown out. Muzo, Colombia. 2010. In the river near the mine, "guaqueros" filter the dirt trying to find emerald or other minerals that can be used to make low price jewels. Muzo, Colombia. 2010. The mine companies often throw the dirt outside at the end of the day. Muzo, Colombia. 2010. 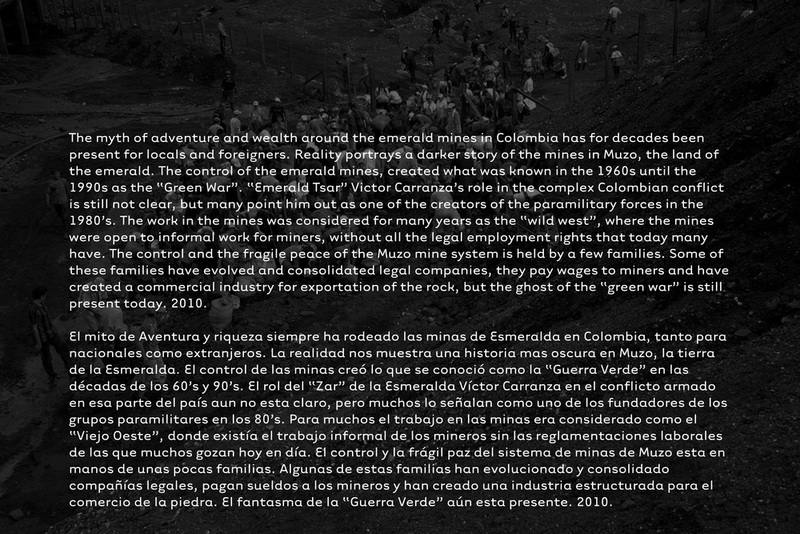 With the use of better technology, mine companies, have a lower percentage of emerald that is thrown to the "guaqueros". Muzo, Colombia. 2010. 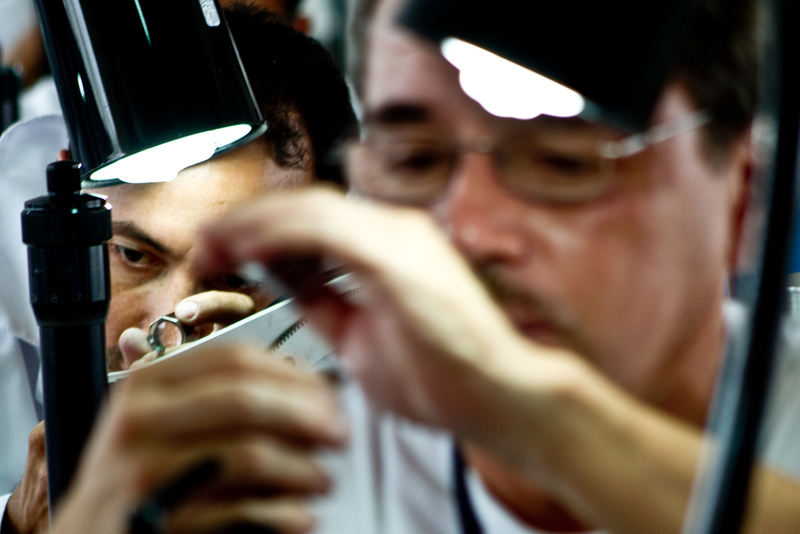 Many buyers of emerald go to the rubble where the "guaqueros" are searching for emeralds. The price of the emerald if found, will be lower than buying it from the emerald mine companies. Muzo, Colombia. 2010. Woman, children and men come to the mines to try to find some emerald in the dir, most of them are from the nearby towns. Muzo, Colombia. 2010. 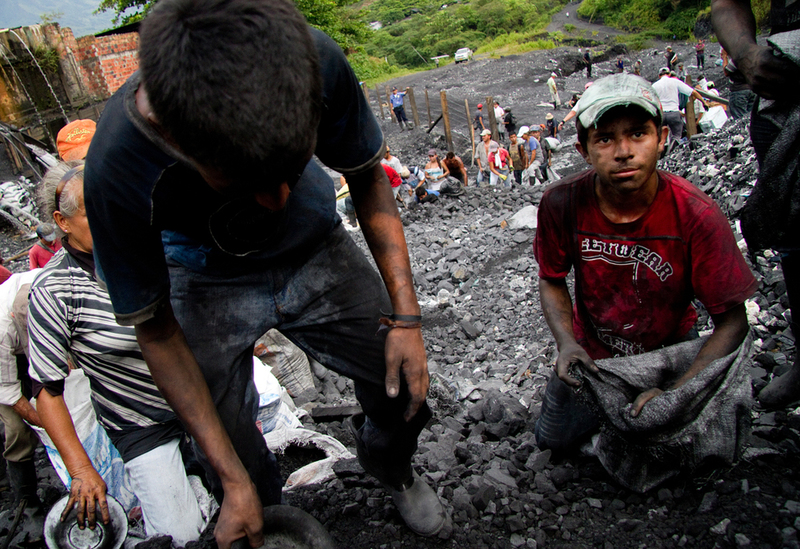 Many "guaqueros" do the search of the emerald as a permanent job, but this number of person is decreasing due to the lack of emeralds found in the rubble. Muzo, Colombia. 2010. 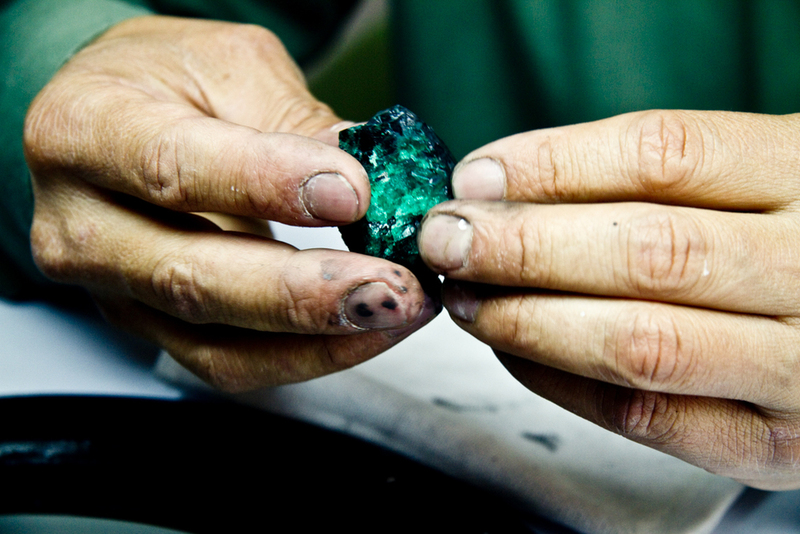 The Muzo mountains have the highest production of quality emeralds in Colombia. Muzo, Colombia. 2010. 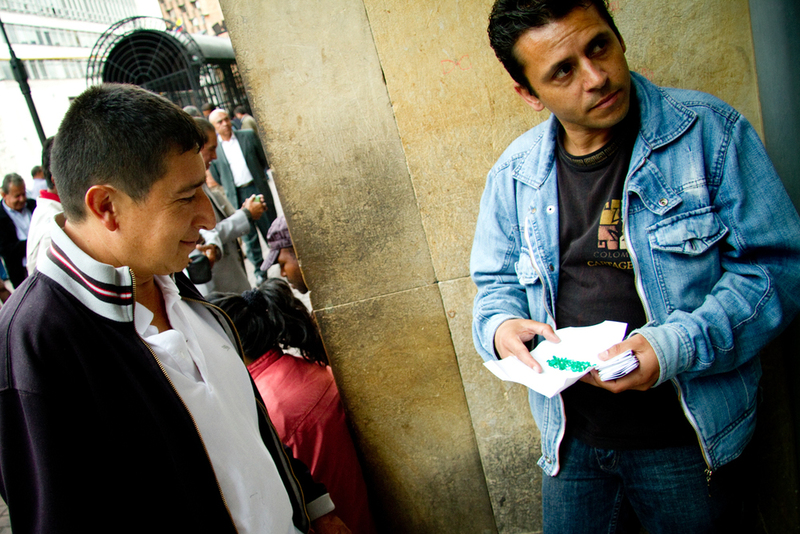 The Emerald museum is in Bogotá and was created by one of the wealthiest emerald dealers. Bogotá, Colombia. 2010. A statue of an Emerald miner and an emerald in the Emerald Museum. Bogotá, Colombia. 2010. Emerald specialized labs, where the rocks are polished, labeled depending in quality and size to be exported. Bogotá, Colombia. 2010. "Emerald Street" in downtown Bogotá a market of emerald where buyers and owners of the rock make business in the streets. Bogotá, Colombia. 2010. The Emerald stone is seen rough and after a process it is polished and is the final rock that is sold in the market. Bogotá, Colombia. 2010. 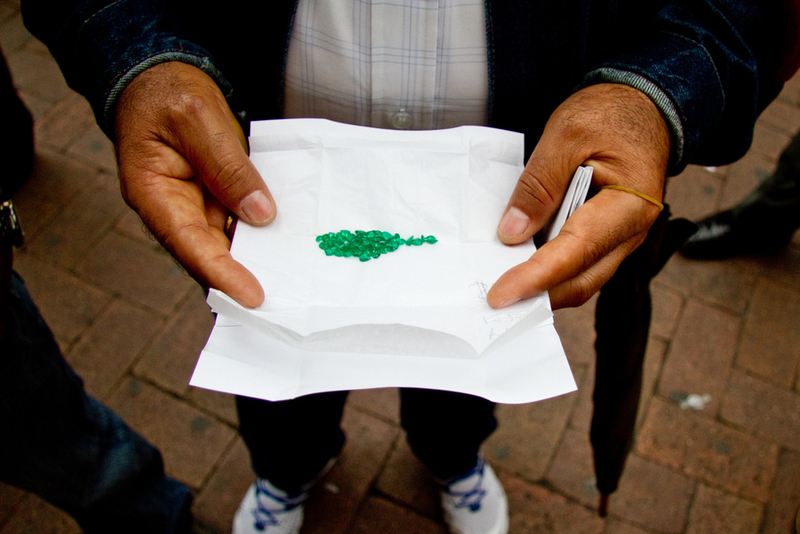 Emerald that are already polished in "Emerald Street" in downtown Bogotá, Colombia. 2010. The owner of the Emerald Museum, and one of the biggest exporters of the rock to the world. Bogotá, Colombia. 2010. The owner of the Emerald Museum, and one of the biggest exporters of the rock of the world. Bogotá, Colombia. 2010.